Recently Carrie O'Regan from Island FM popped into the GSPCA with a wonderful donation. Island FM along with Regency Bedding, Cherry Godfrey and DWA Flooring have helped with some major events this year and not only helped promote them they also helped raise additional funds. Regency Bedding with Island FM helped organise and run the Easter Eggstravaganze at Rue Mainguy in April and DWA Flooring with Island FM helped with the Animal Welfare Seafront Sunday in May. At both events Island FM brought along the Cherry Godfrey Cash Shower. 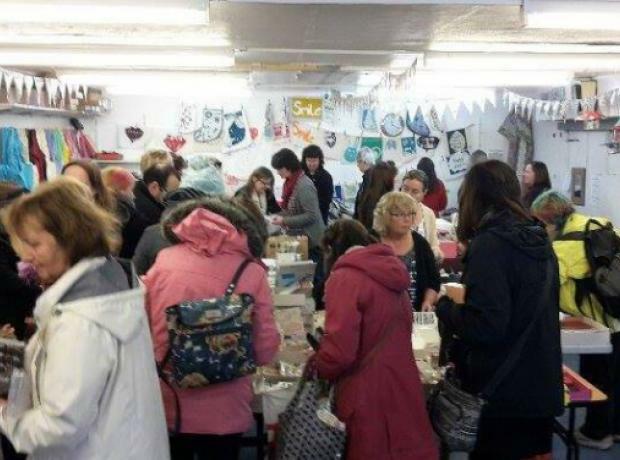 On Saturday a Craft Stash sale was organised at Iris and Dora in St Martins. This wonderful event was run by a group of fantastic supporters to raise funds to help the GSPCA and Sarnia Guinea Pig Rescue. Christine Guerin one of the organisors said "Well, that's our sale all done and dusted." "What a great day we had - a big THANK YOU to everyone who came along to buy, everyone who donated items to sell and all the helpers who gave up their time." "A big thank you also to Denyse McGahy and Paul at Iris & Dora for lending us the space." 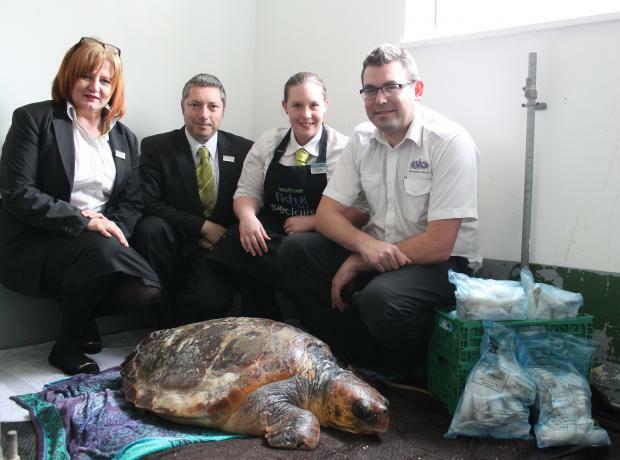 Waitrose has donated more than ten kilos of squid for Olivia the loggerhead turtle as she continues to recover at the Guernsey Society for Prevention of Cruelty to Animals (GSPCA). The endangered animal was found washed up on Guernsey’s west coast earlier this month after she was caught up in the Gulf Stream. It's nearly Christmas and Santa has come early at the GSPCA. 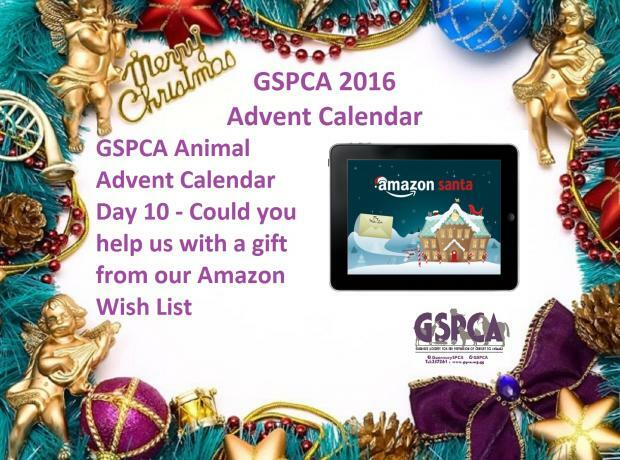 We would like to say a huge thank you to the kind an caring supporters who have donated a number of items recently which will help in the care of the many animals at the GSPCA. Over the last few weeks we received lots of packages at the Shelter and when we opened them we have found all sorts of goodies from cleaning supplies to goods for the pets in our care. In the summer we moved into our new Multi Purpose Animal Welfare Building and many of these items are helping equip it and also around site. Over the last few weeks we received a number of packages at the Shelter and when we opened them they contained a number of brushes, buckets, cleaners, litter trays and many other goodies. We recently moved into our new Multi Purpose Animal Welfare Building and many of these items are helping equip it and also around site. Today we would like to extend a huge thank you to Liz Kerr who popped in to take professional group pictures of 24 of the 25 Slovakian puppies with the team and volunteers at the GSPCA. One pup was out on foster, but the other 24 joined GSPCA staff and volunteers for their first family picture in a group. The puppies which have been in the GSPCA care for over 7 weeks are very soon to be officially rehomed and the team have been working through the hundreds of inquiries and applications.